One of the less-known accessibility features of iOS, is the “reverse colour” view, which you can enable in Settings under General > Accessibility > Invert Colours. With this option turned on, a triple-press of the Home button reverses all the colours on the screen (basically, a negative image)—very handy in a dark room when using an app with a largely light background. 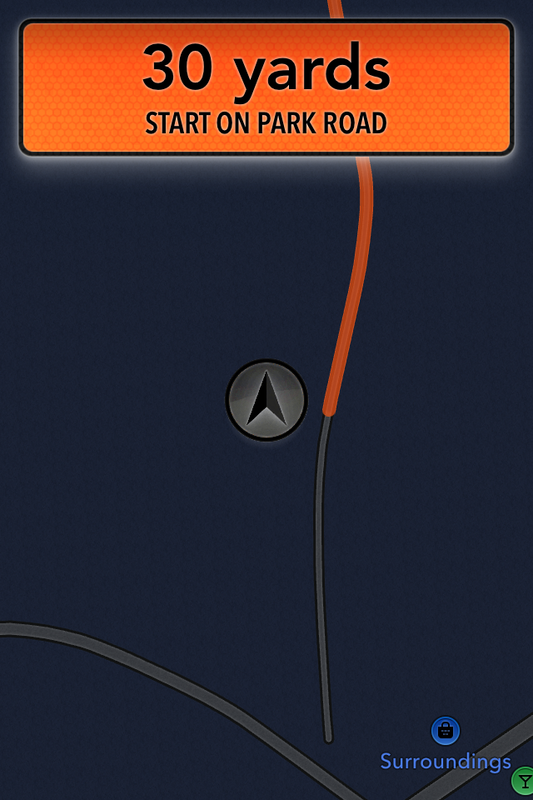 This evening, I was using Apple Maps on the iPhone as a satnav (don’t worry, it worked 😉 ), and as usual when driving after sunset, wishing that Apple Maps had a “night mode”, as Nokia Maps did on my venerable N8 in 2010. Almost as soon as the thought crossed my mind, it occurred to me: why not try Apple Maps with the “triple-tap” Invert Colours trick?